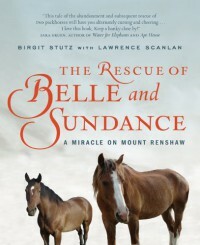 A heartwarming story of how a town worked together to free two trapped horses that without their help would have starved to death in the cold winter up on the mountain. I was glad to see they found good homes in the end! I also think it's beautiful to see the lengths people will go to help animals who cannot help themselves. Gives me a bit of hope for humanity.